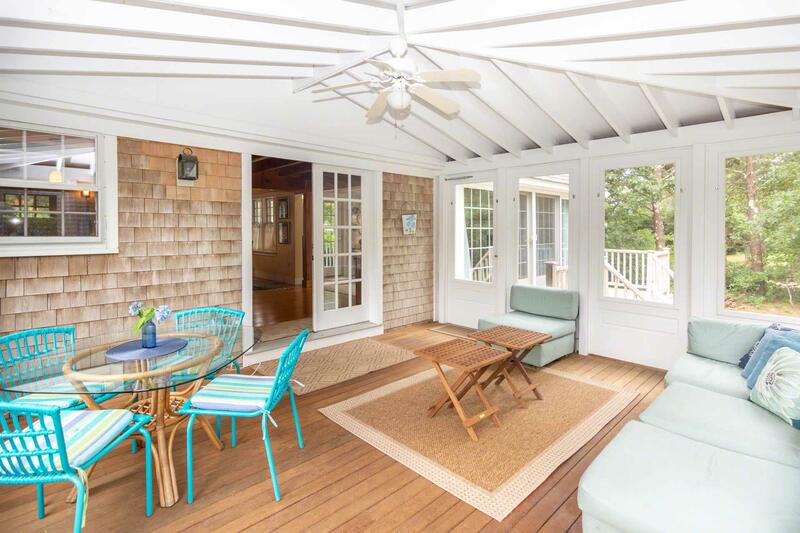 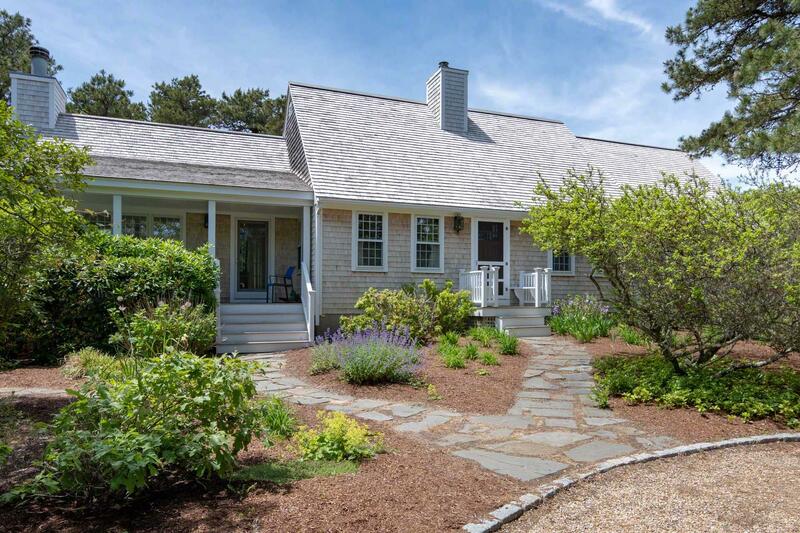 Point B Exclusive - This thoughtfully-designed Contemporary Cape is tucked away in a quiet section of Katama, and features nice touches inside and out. 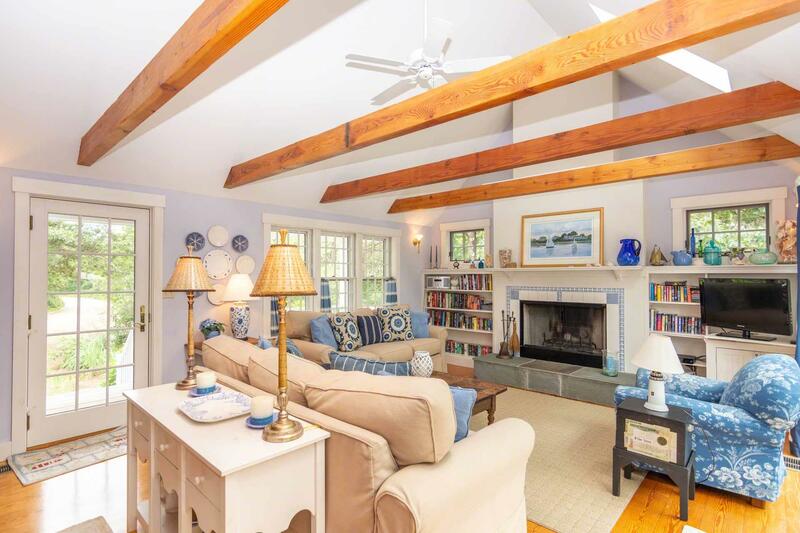 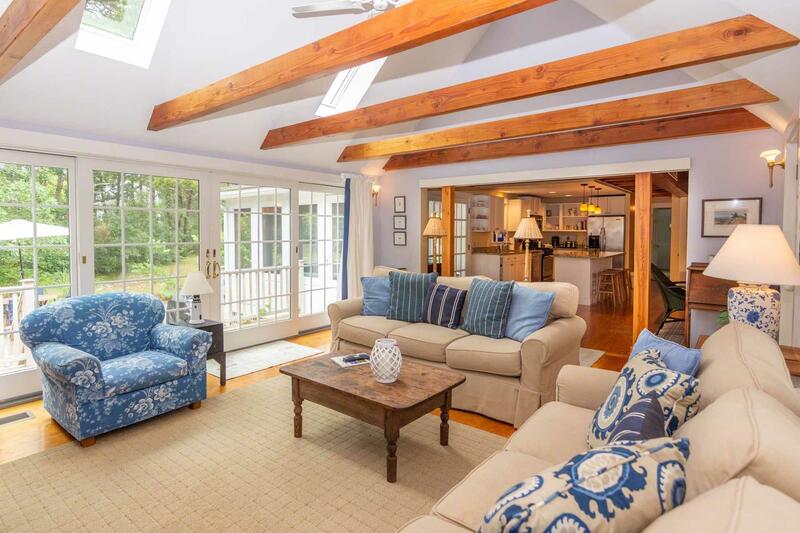 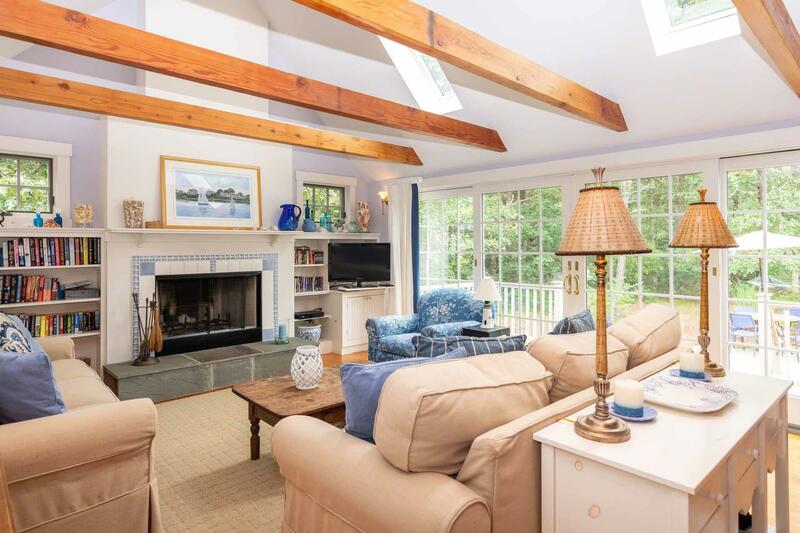 The large Living Room has vaulted ceiling with beams, skylights, fireplace, wide plank floors, and two walls of glass windows and doors that open to a covered porch in the front, and a mahogany deck and bluestone patio in the back. 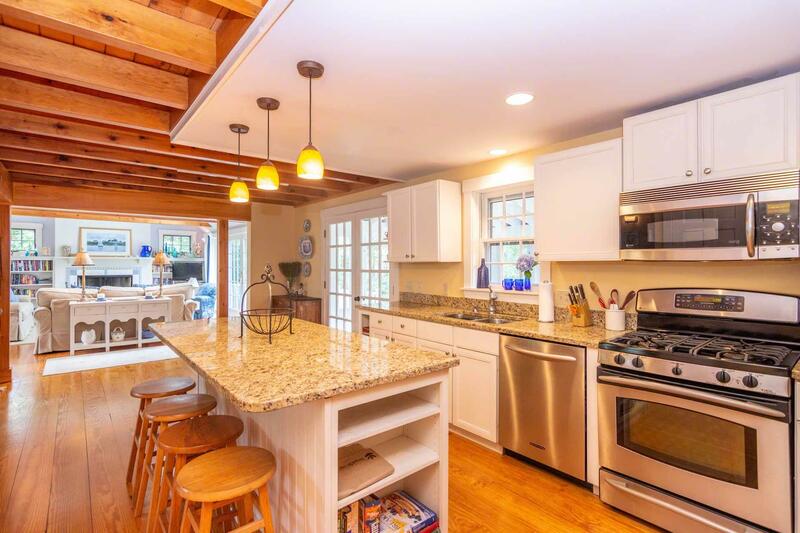 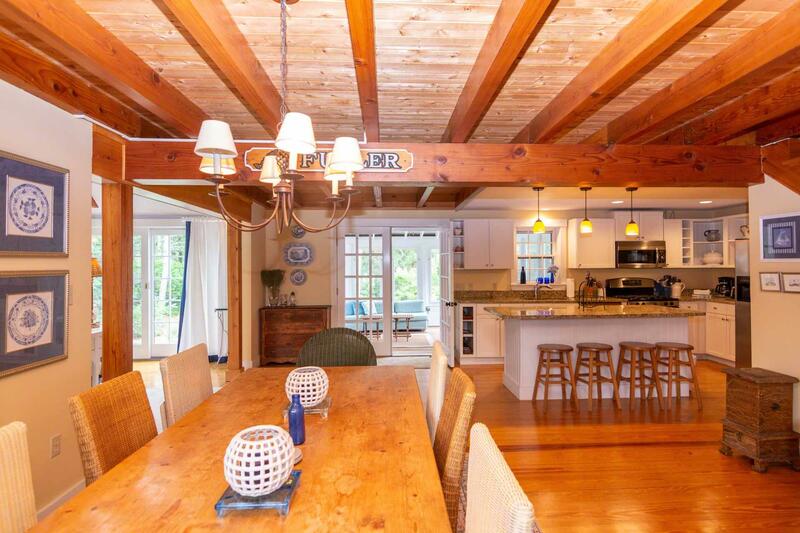 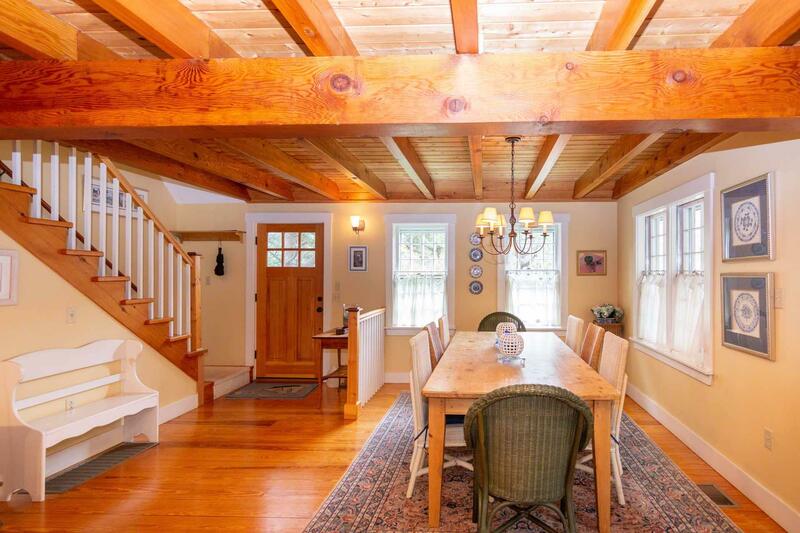 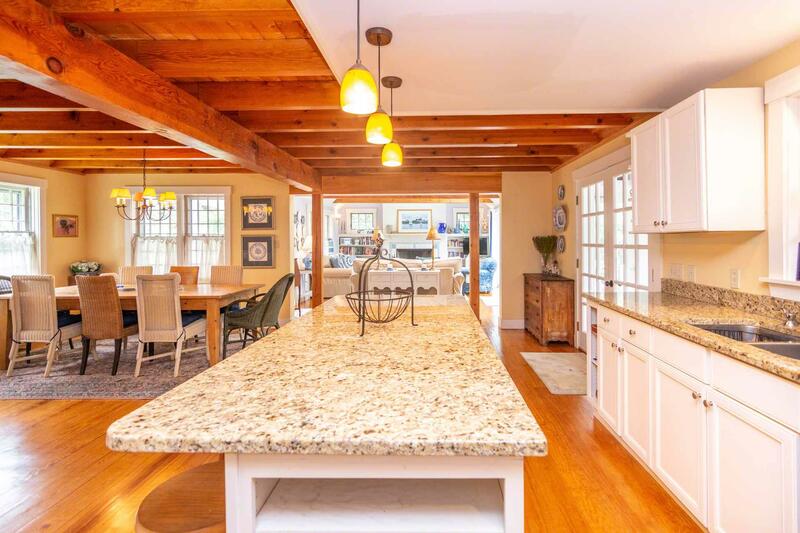 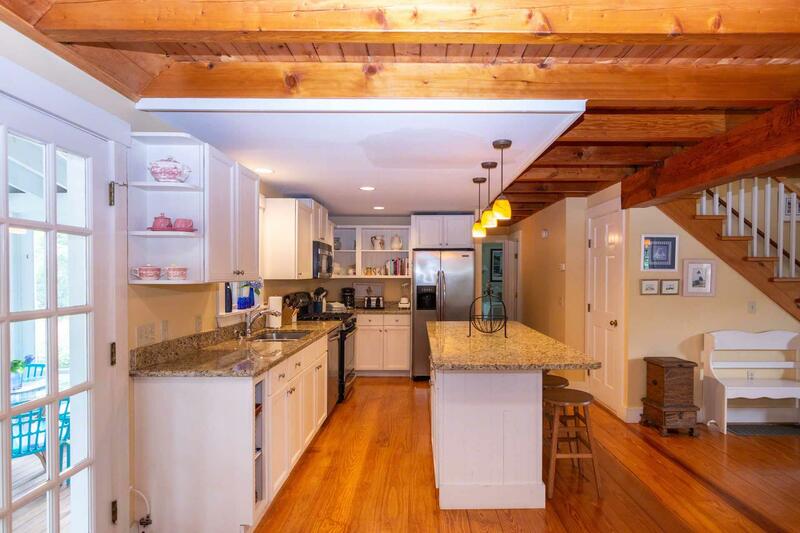 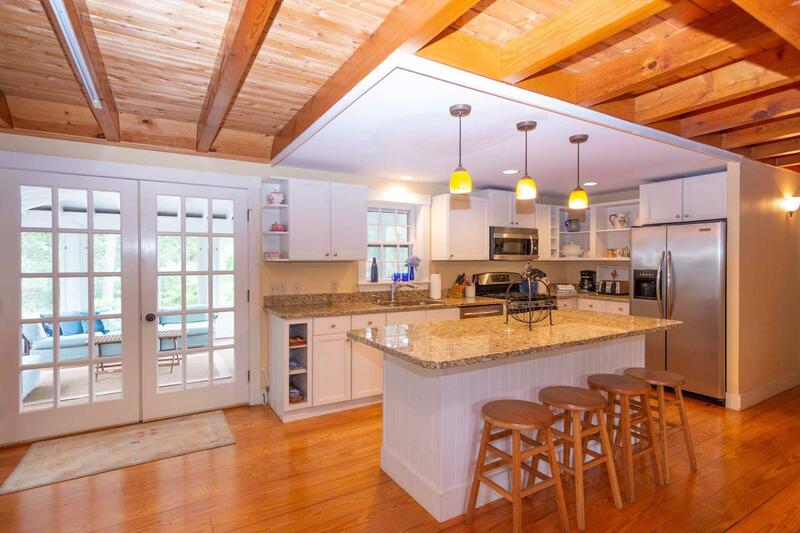 An open, timber-framed Dining Area connects with a Gourmet Kitchen that has granite counters, breakfast bar/prep island, and stainless appliances. 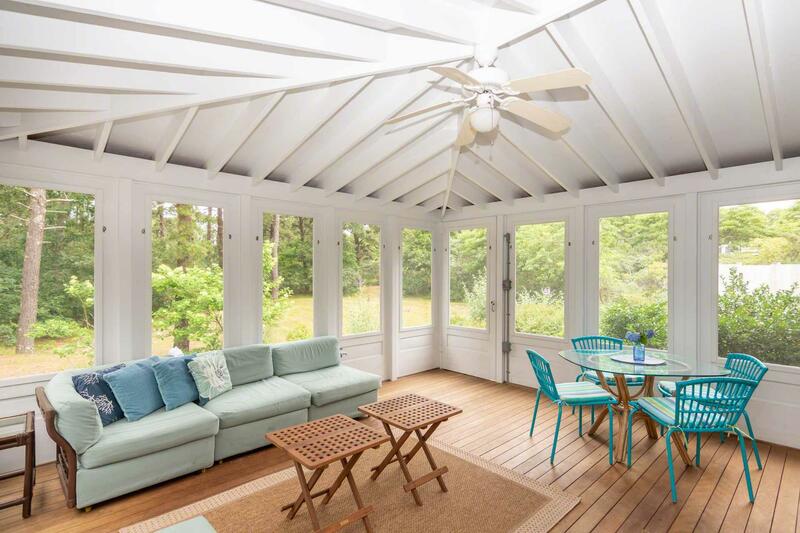 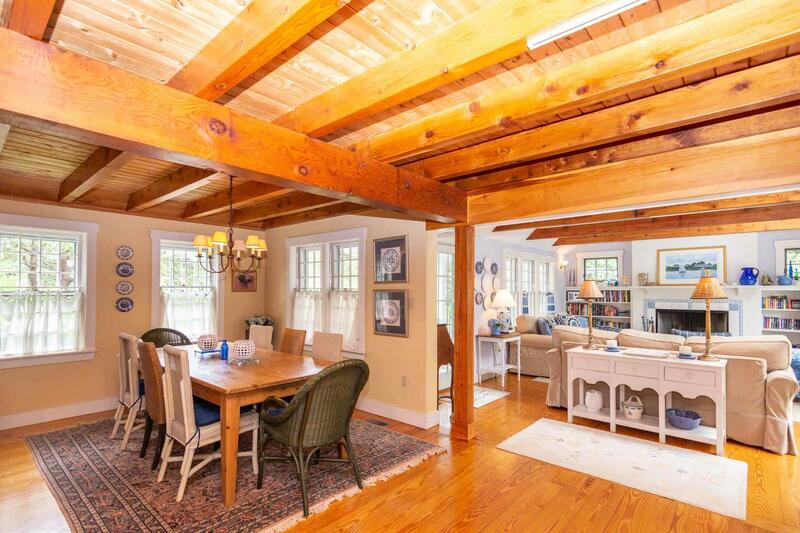 French doors open out to a large screened porch for additional dining and entertaining space. 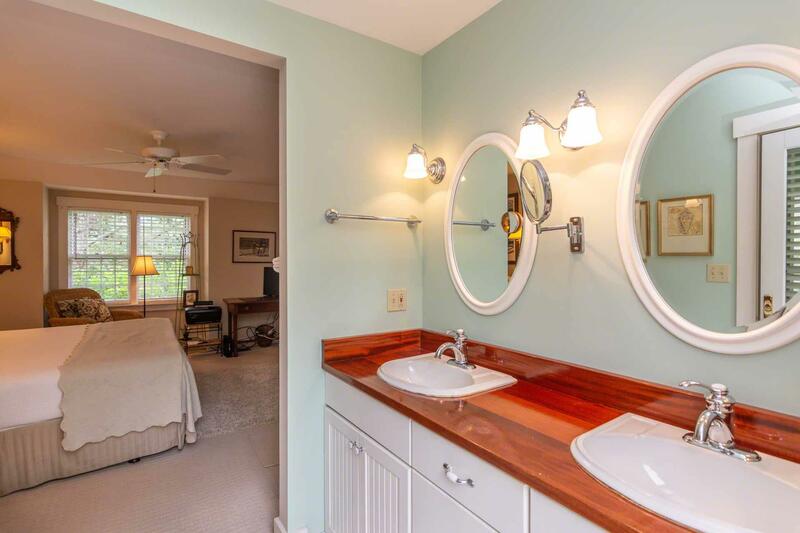 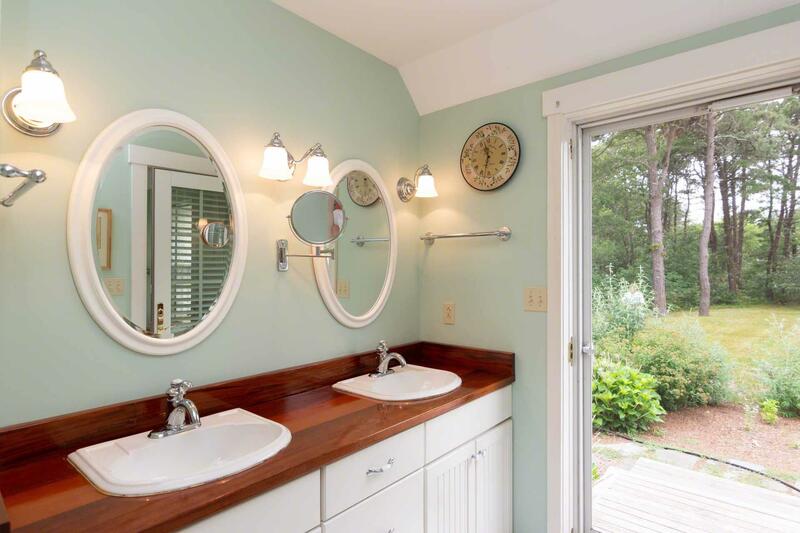 A private door from the Master Bedroom Suite opens to the outdoor shower. 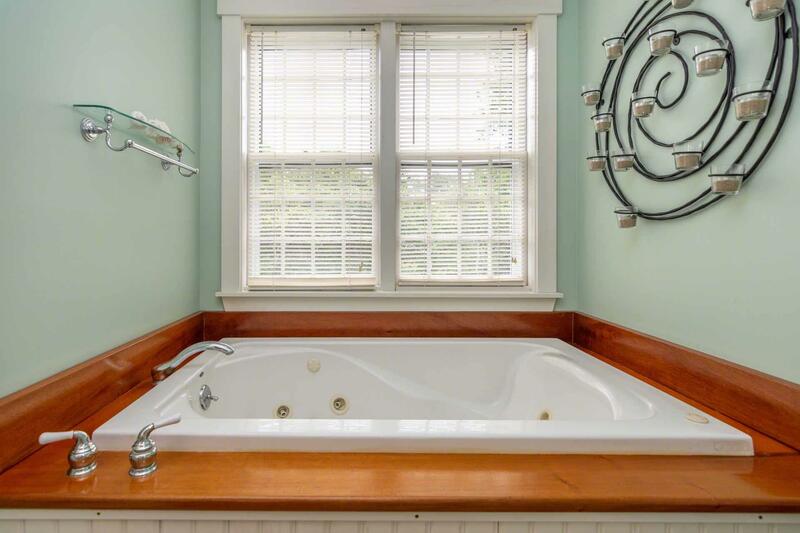 Back inside, the suite has a king bed, large walk-in closet, a bathroom with yacht-style mahogany trim around the whirlpool tub and double vanity. 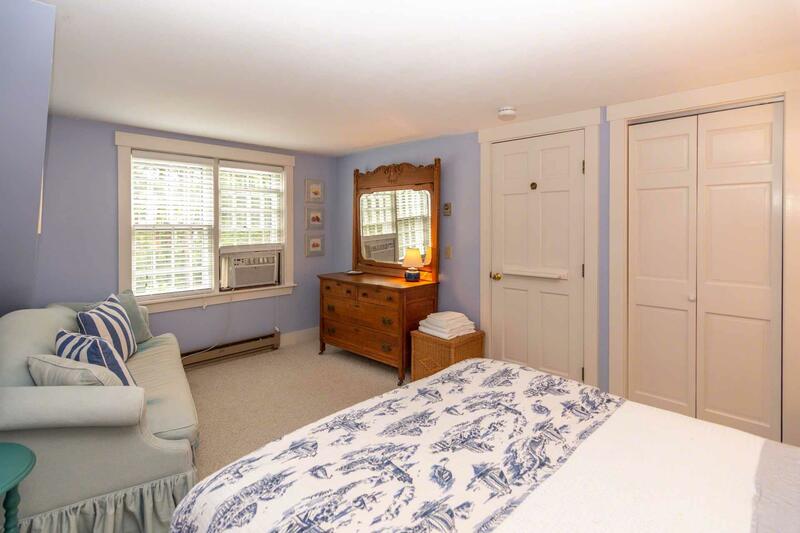 Pocket doors open or close off an additional Bedroom (#4) with day bed, that can be used as a master sitting room, or a separate bedroom. 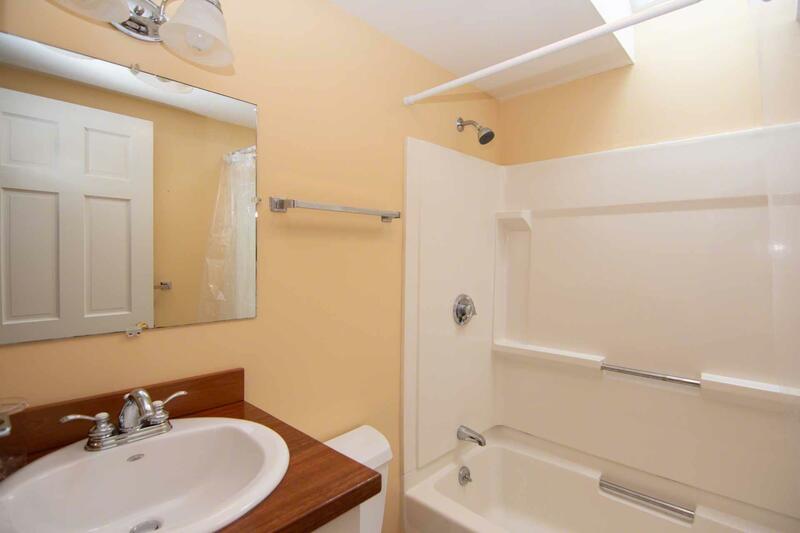 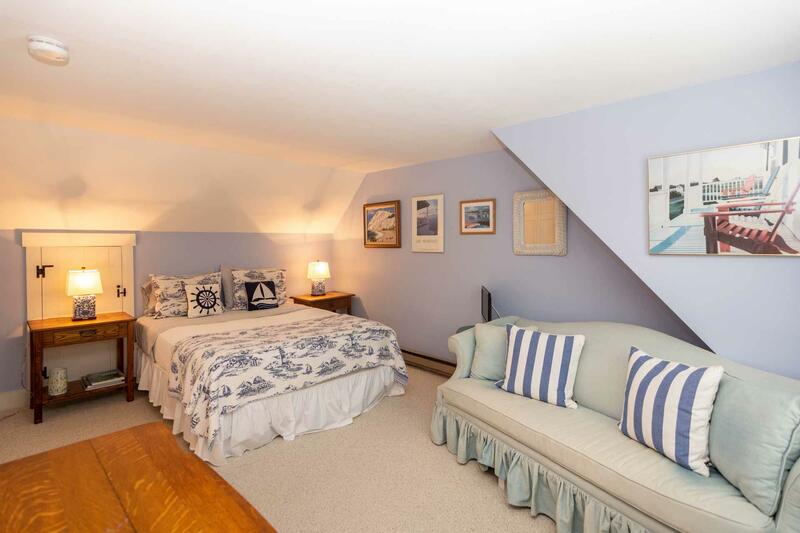 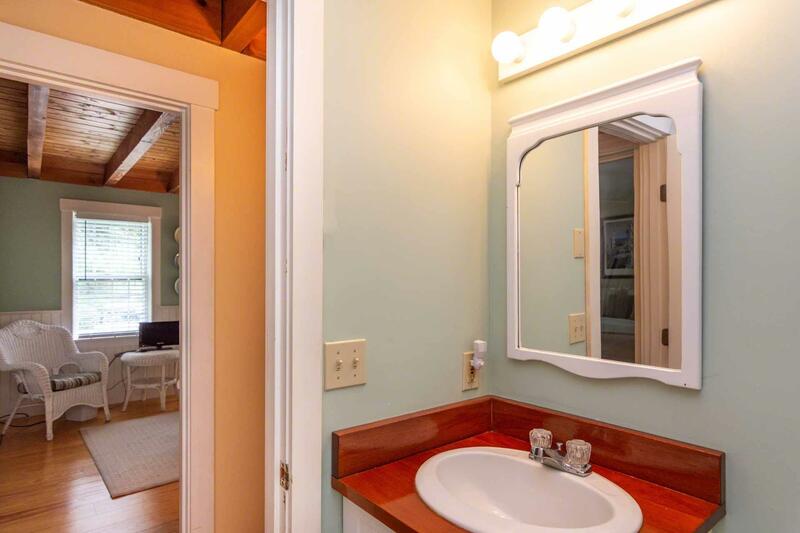 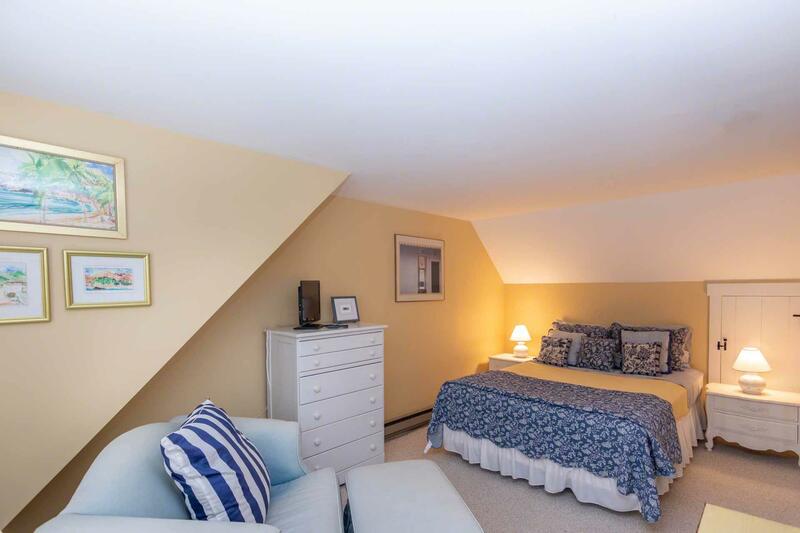 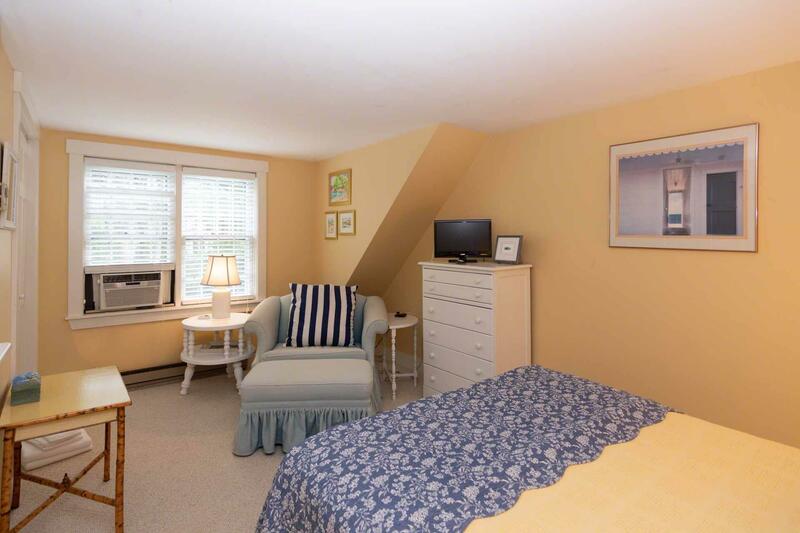 The other two Bedrooms both have queen beds on the second floor and share a full bath with tub ad shower. 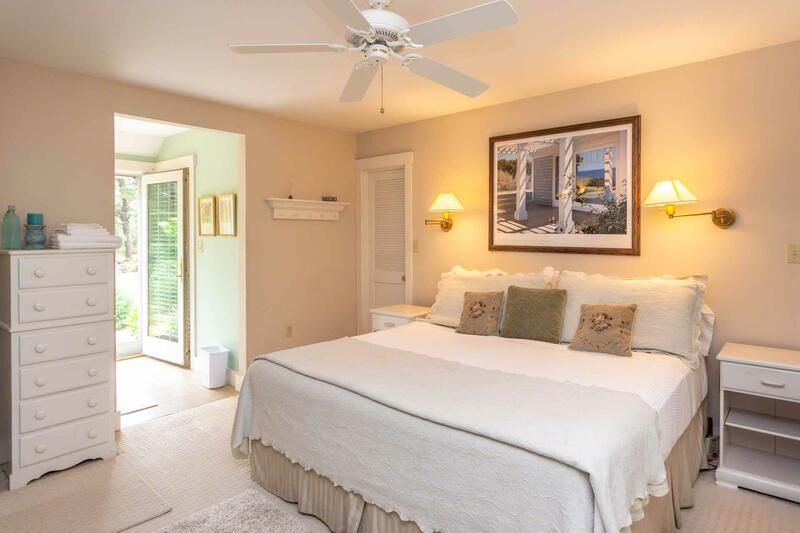 This luxurious Cape was renovated in 2003 and is set off the main road, amid nicely manicured grounds with a grassy backyard. 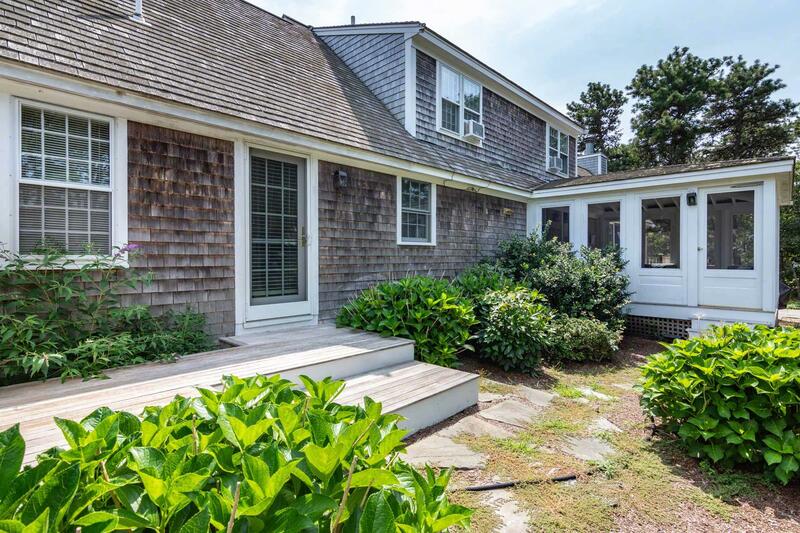 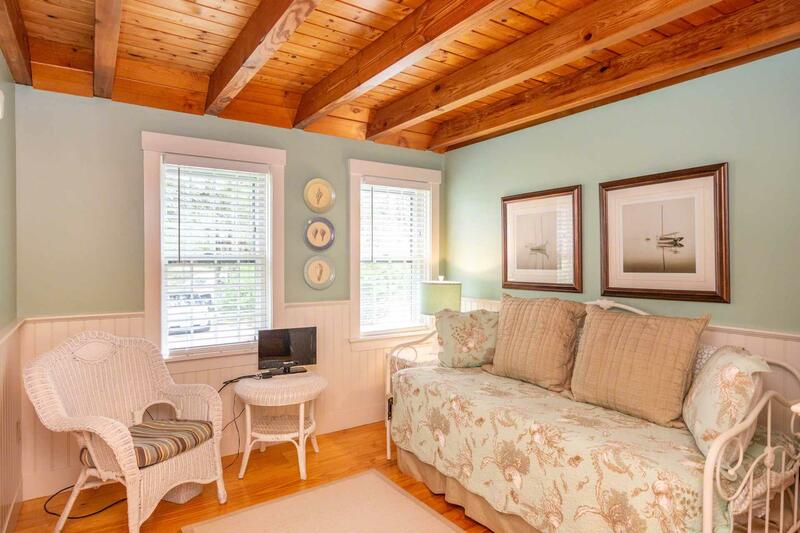 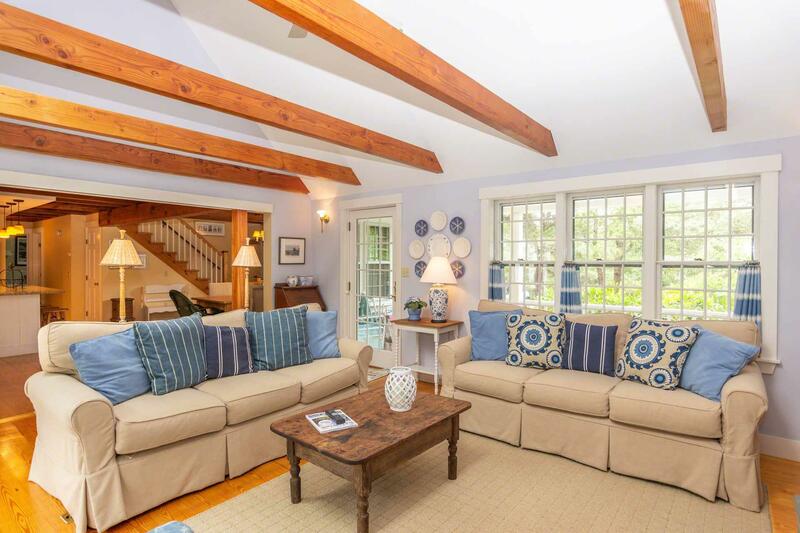 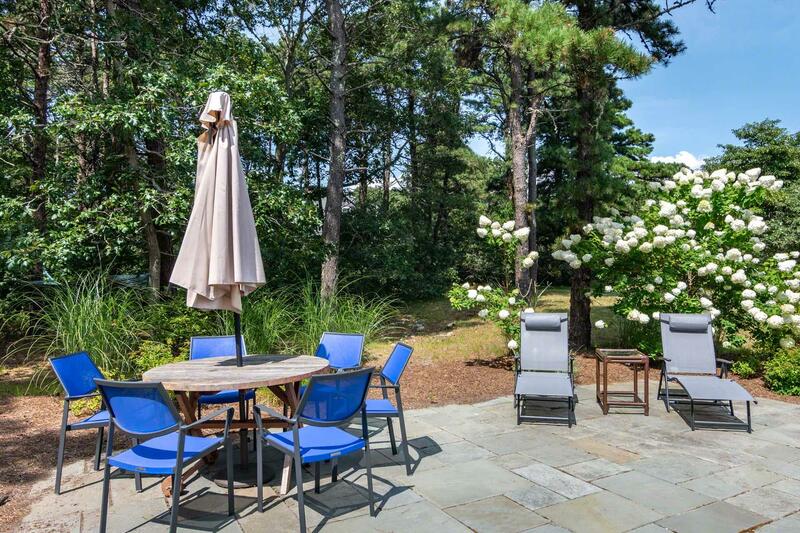 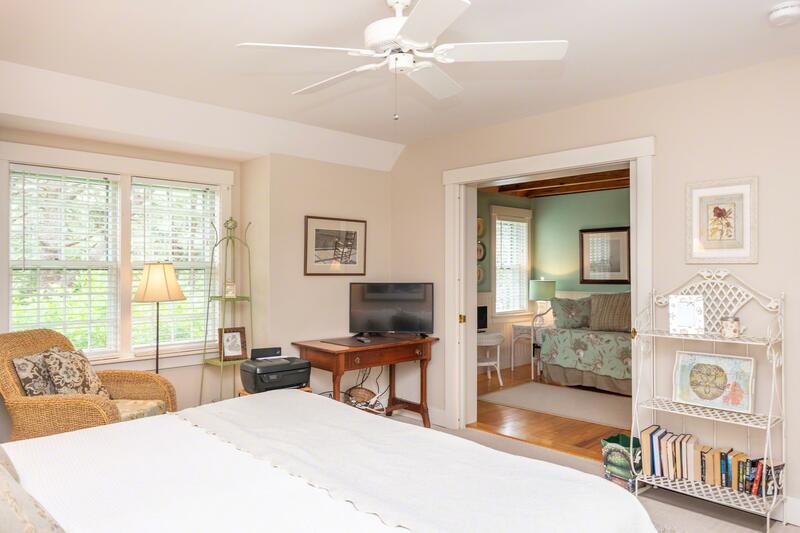 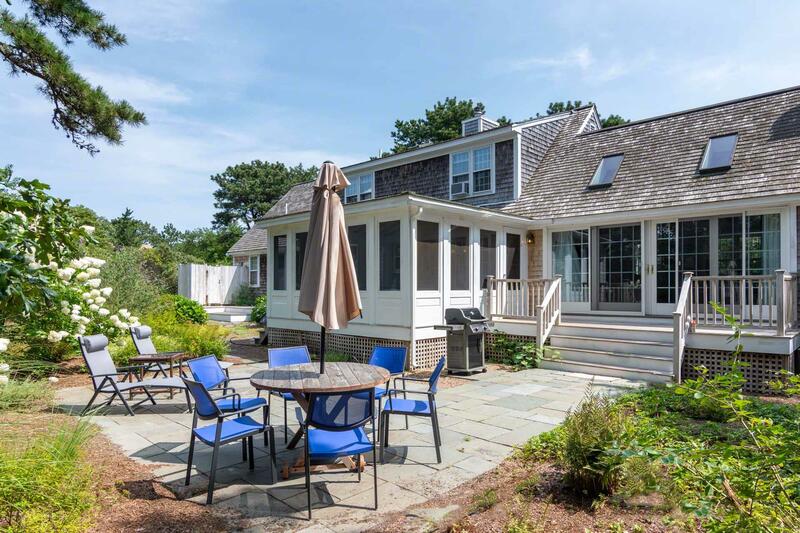 South Beach is about two and a half miles away, while Edgartown Village is less than a mile and a half.